The Creating Theatre with Children Module forms part of Butterfly Art Project’s Community Arts Programme and is a 8x 3-hour sessions course for young people who work, or intend to work, with children. 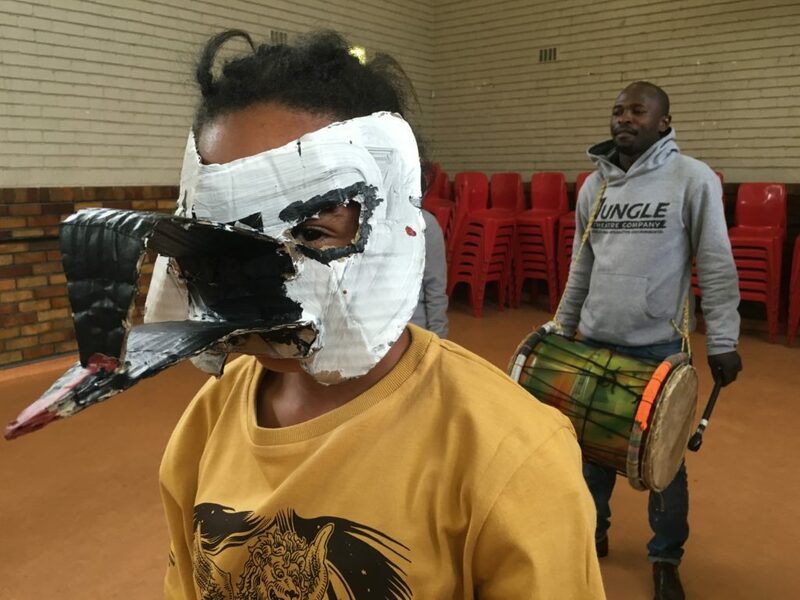 Participants to learn to facilitate the creation of a piece of theatre with a group of children based on an African folktale. In order to make theatre one needs a desire to express something, the skills to express it, a space and an audience. Making theatre with children and young people is no different. Training children’s theatre makers follows the same processes of telling stories, learning the skills needed to do so and all working together to make theatre. Everyone was once a child, and by tapping into a childlike energy through play, theatre makers can create works that are not patronizing.